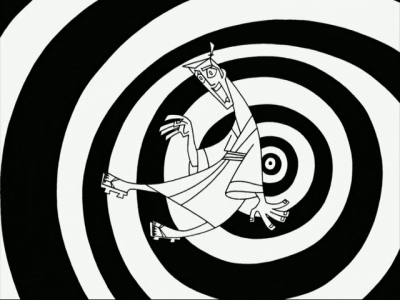 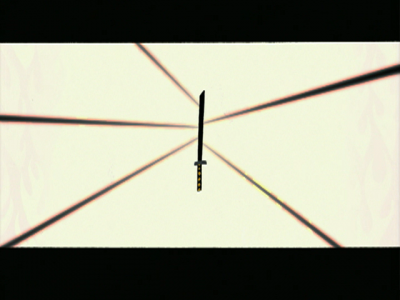 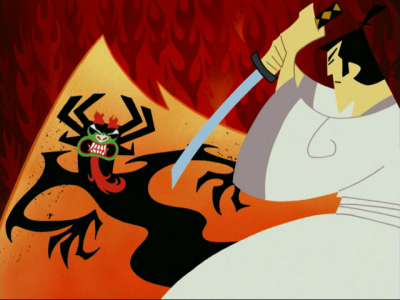 I am continuing my synopsis and screenshots of the first episode of Samurai Jack. Follow below the fold… spoilers abound, of course. 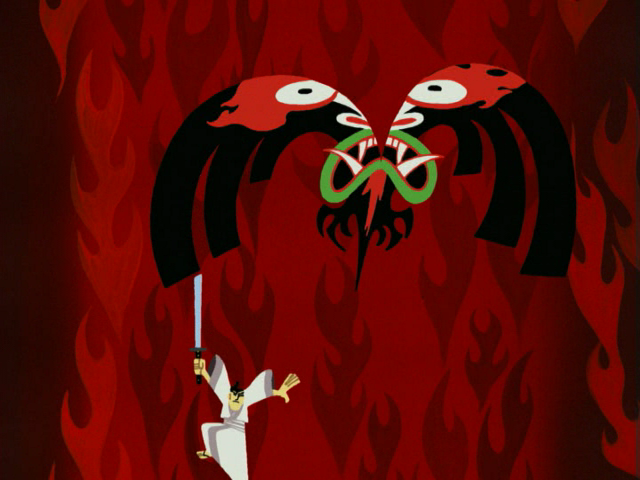 The emperor tells Jack what cruel fate has befallen his people and warns Jack that the sword is only a tool, and that his true weapon is his righteousness. Jack leaves for Aku’s stronghold, promising success, but as he rides off, his father warns him that evil should not be underestimated. 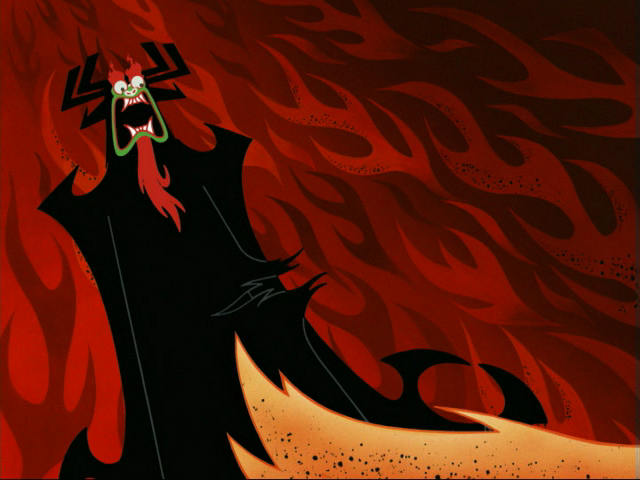 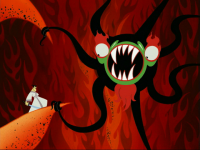 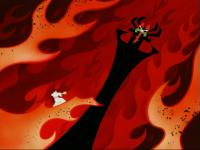 Jack challenges Aku, revealing himself as the son of the emperor and declaring his intent to destroy Aku and free his people. 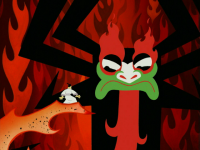 Aku is not really impressed. 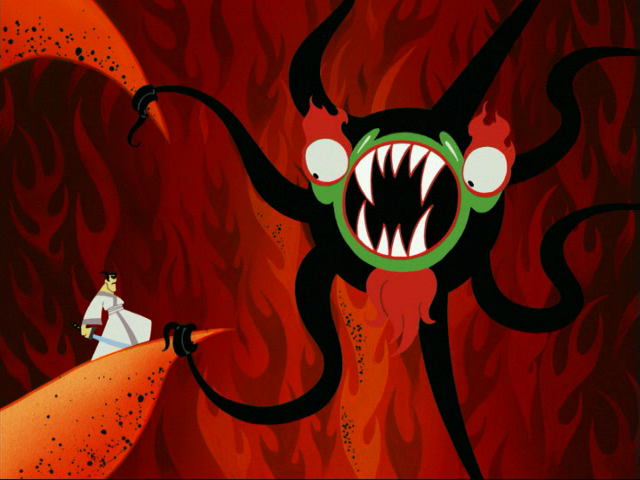 … and Aku takes Jack’s point. 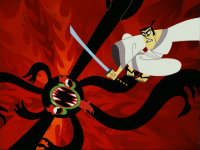 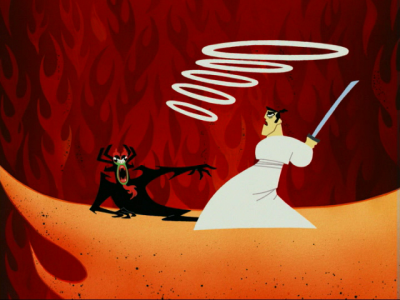 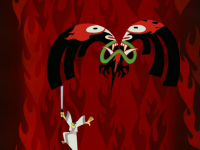 The two battle, Aku’s shapeshifting power versus Jack’s training, skill, sword, and righteousness. but before the Samurai can strike, Evil finds a way. 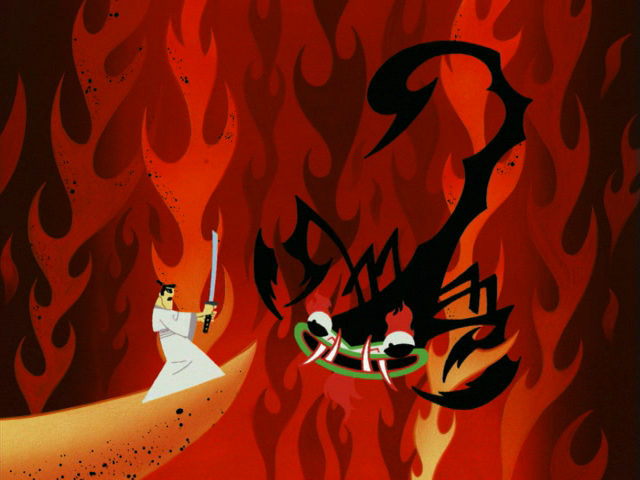 Jack is hurled through time, and the saga begins. 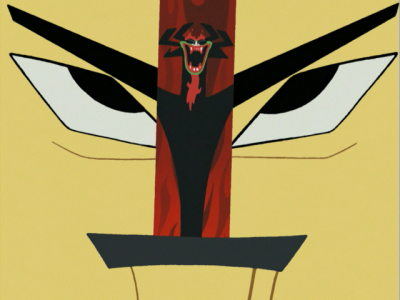 Of all the episodes in that series, I think that “Jump real good” is the one I liked the most. And it was nice that after that, Jack really could “jump real good” and used it in several of the episodes (e.g. the graveyard). 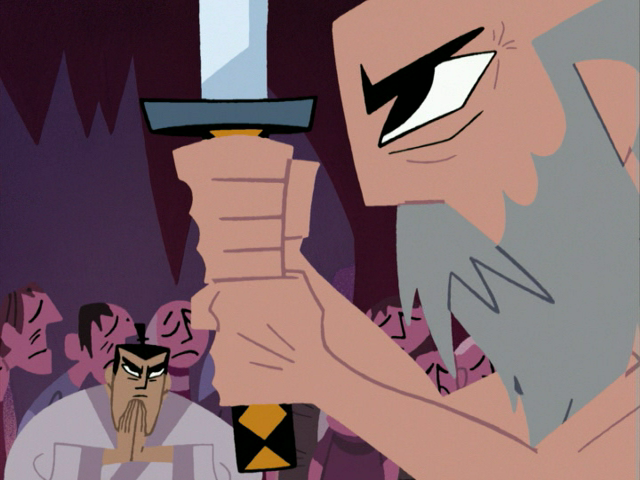 agreed, in fact Jack even used it/referred to it explicitly in the very last (two-part) episode of season 4! 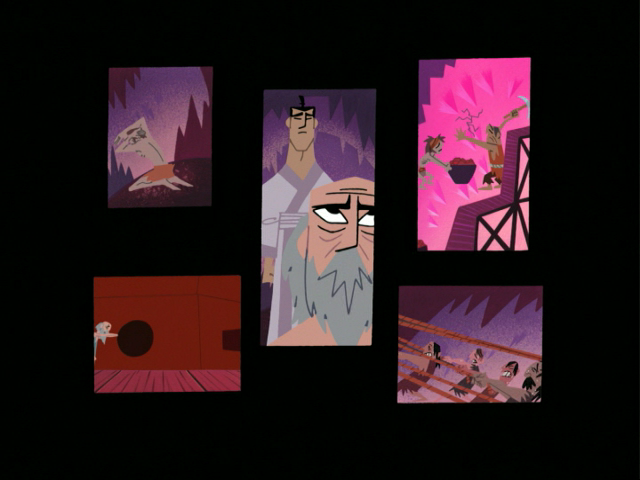 It was indeed great. 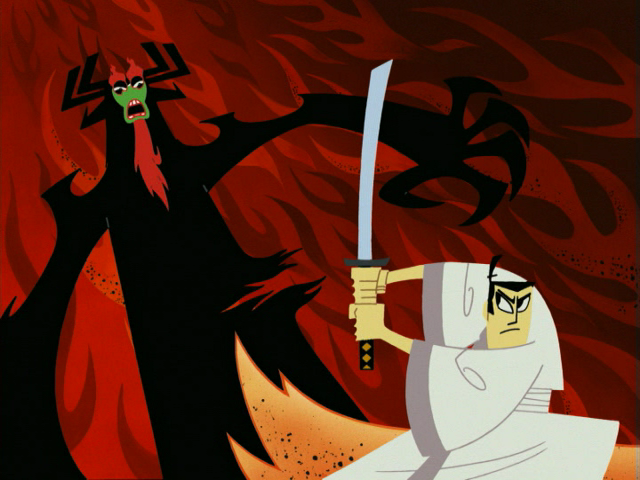 Right now rewatching season 1, my current favorites are the one where he battles a giant rock monster, because of the ending, and the one where he searches for a jewel in the desert with a certain female companion.